For Albert Einstein, the answer is no. But what did he mean? Did the greatest theoretical physicist of all times really miss the bandwagon of quantum physics? What are the real issues of the controversy that has opposed him to the Copenhagen School (Bohr, Heisenberg …)? Back to the physics of the early twentieth century, its history, philosophy and ideas. It all started with a story of apples. Well almost, you might say, do not forget Galilee and Copernicus. You have guessed it, I am not talking about Adam and Eve’s but about the apple that fell on Newton’s head. In the 17th century, the British scientist laid the foundation for what is now called the “classical mechanics” and managed to model one of the four fundamental interactions: gravity. His model, fully deterministic, triumphed and appeared then universal for that it predicts the movement of the falling apple as well as the movement of solar system’s stars. This is fabulous! Unify the phenomena of everyday life with “what goes very high in the sky” in a world that men completely ignored at that time is a historic achievement. Let’s continue our brief summary of the foundations of modern physics, the journey leading us to the nineteenth century when Maxwell unified within four famous equations the electric and magnetic forces. This quest of the unification of all physics theories, begun by Maxwelln became even a dream, an ultimate goal for Einstein few decades later. But can we unify electromagnetism (EM) and gravity? All starts from his thoughts on light, and two key findings that hold the attention of Einstein. The first, known since the late nineteenth century, is the fact that light has exactly the same speed (denoted c) whatever the point of view of the observer: if a passenger in a high-speed train sends a light beam in the train, the velocity of light with respect to the ground is always the same, it will not be increased by the train’s speed! The problem is that in Maxwell’s equations, light is described as indeed having the famous speed c. But if you look “naively” (using the conventions of … Newton!) at these equations for a light beam that is already underway in a high-speed train, they show a different speed of light with respect to the ground! In the nineteenth century, many physicists thought that in fact there was an invisible medium “attached” to light, called Ether, and that only someone who is “attached” to this medium could see the light travelling at c. It is precisely the theory of relativity by Einstein in the early twentieth century which has given another explanation: the speed of light is the same in all media, but it is necessary, when you look at the equations of Maxwell in a high-speed train, for example, to be careful not to write them in our daily-life three dimensions, but in four dimensions by adding time. This will keep the same speed for light whatever the speed of the train in which it is travelling! On the other hand, but this is this time something Einstein discovered himself in his theory of four dimensional space, the speed of light, this constant we have just mentioned, is the maximum speed that any phenomenon or object can reach! This calls into question the Newtonian theory of gravity, which stated that the earth is instantly attracted by the Sun, that is to say that the Sun gives information to the Earth “I’m here, pay attention, I attract you !” with an infinite speed! It is here that Einstein’s relativity, which assumes that the information takes some time to reach the Earth, provides a theory of gravity which is consistent with Maxwell’s equations now written in the Einstein’s “space-time”. In a few decades, Einstein challenged the ideas contained in Newtonian mechanics and invented a four-dimensions space-time model that gives coherence together to gravity and electromagnetism, light being the trigger of the two revolutions. But this theory of relativity does not unify EM and gravity: Einstein’s dream is now to find the master equation for these two major forces that seem to rule the universe. But what about quantum physics? We are in 1930, two new forces have been identified: the weak nuclear interaction, responsible for radioactivity, and the strong nuclear interaction, later used in atomic bombs. They are poorly theorized, it will be the work of physicists from the standard model and string theory few decades later. But they seem to fit together with Maxwell’s electromagnetism. The dream of Einstein became the unification of gravitation, which is predominant on a cosmic scale, on the one hand, and on the other hand, the three other forces (EM, weak, strong) prevailing at the quantum scale. What role played the obsession of the German physicist in his skepticism regarding the recent quantum physics? This sentence by Einstein gave birth to multiple interpretations, most of which has resulted, and may be an underlying objective, in a discredit of the genius’s post-relativistic work. We will not fall into this trap. It is very likely that Einstein refused to see Newton’s determinism collapsing, since it remained one of the postulates of its own theory of relativity. How could he accept the Heisenberg inequality, and especially the fact that the outcome of an experiment can not be estimated without using probabilities? A thought experiment solution would be to say that in fact all predictable results actually occur, but at a level such that the observer has access only to one of them. Without going into string theory which foresees the existence of seven invisible and folded on themselves dimensions (like an ant walking on a telephone cable can only see two of three dimensions, length and circularity), Einstein was, after long reflection, seduced by the mathematician Caluza’s idea of additional spatial dimensions. To overcome this lack of determinism, we can also discuss the concept of “imaginary time” (seen as a pure imaginary complex number) invented by Stephen Hawking and which allows the realization of all possible trajectories of a particle in the “imaginary time”, as long as one is performed in the “real time”. 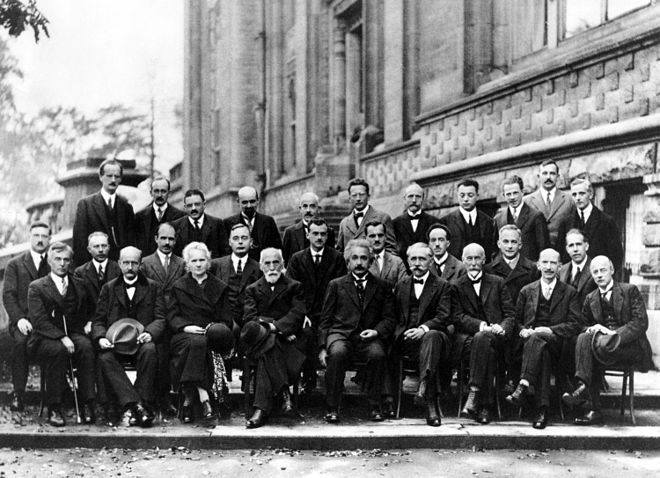 Solvay conference (1927): Schrödinger, Bohr, Eisenberg, De Broglie, Curie, Langevin, Dirac, Lorentz, Einstein.. However, we can see this purely as a philosophical quarrel between the realistic and the positivist schools of thought. The realists think we can develop theories that give us an objective knowledge of the world through the systematic comparison of theory and experiment. Scientific realists, including Einstein and Schrödinger, strongly care for determinism and for objective, independent of the observer and not hazardous measurement! According to them, it would go against the “common sense” on which physics must still rely. But then what about when Copernicus argued that the Earth was round, while in the eyes of all it appears of course flat (collective common sense)? This positivist argument was advanced by the so-called Copenhagen School (Bohr, Heisenberg, Jordan, Born …) which considered quantum physics and physics theories in general as elegant models, results of the imagination of human beings, which should be verified by observations. Where is the difference? Here there is no immediate sense data (such as “an event occurs in a unique way and not in a hazardous way”), so that it is pointless to ask whether the theory correspond to reality: reality is never independent of theory! A second problem probably grieved Albert Einstein: that of quantum measurement, which seems to be a projection on a random axis, by the observer, of the observed quantity. So it seems that the measure is an irregularity in the Schrödinger equation for the wave function, the so-called reduction of the wave packet. One solution to this problem may be to consider that the wave function represents our knowledge of the system, so that it changes abruptly at the time of measurement. But then, this assumption implies that a measure can reveal something about the system! 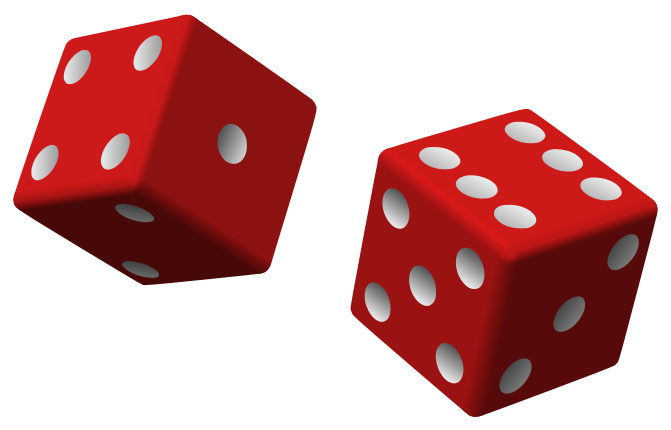 However, according to quantum mechanics, only a very large number of measures allow to assess the probability that had the different values to be measured. Thus, all “solutions” quickly seem to fall into the field of philosophy, which we have already discussed … We have to accept that some variables are not defined before they are measured. Because he was not convinced, Einstein tried to find a paradox, often called “EPR paradox” in the name of his two acolytes Podolsky and Rosen. Goal: To prove that the states of the particles are determined at any time. To do this, the thought experiment is to take two entangled photons, ie characterized by the following property: the measure of a quantity related to a photon implies that the same amount is fully determined for the other. Then we assume that we measure simultaneously (within a time that does not allow exchange of information between the two particles) the position of one of the photons and the speed of the other. We then obtain a contradiction to the Heisenberg uncertainty principle. 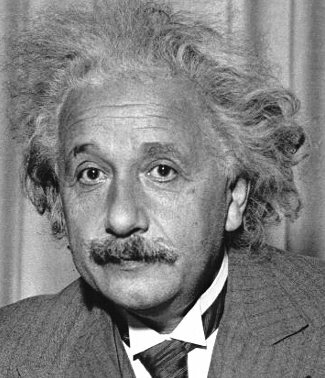 Einstein then proposed to enhance quantum physics with the assumption of the existence of “hidden variables” that are not already included in quantum physics, but are fully deterministic. However, in the early 80 Alain Aspect gives him wrong with experimental tests. The logic of the EPR paradox is perfect. The assumptions are in fact less. What does the entanglement mean? 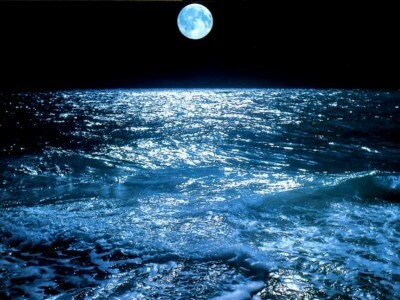 It can not be an exchange of information between the two photons, because it does not travel faster than light. In fact, Einstein implicitly assumes that when two photons are sufficiently far apart, we can talk about the physics characteristics of one specific photon (assuming locality of entanglement). This is directly contradicted by Aspect’s experiments (energy, momentum and polarization measurements), which showed that the correlation between the two photons is relatively high even if they are far apart: the results of a measurement on a photon depends in a non-local way on the results of the other photon measurement. The EPR paradox falls through, and the Heisenberg principle is not violated. Note that nothing here contradicts relativity, which states that the speed of light is a universal upper limit, since there is no way to use the correlations between particles to transmit a signal faster than the speed: the causality is not violated. Indeed, space and time seem to play the same role in this fundamental equation. But the Schrödinger equation contains a simple time derivative and a double spatial derivative. In fact, Schrödinger first sought a relativistic equation, now called the Klein-Gordon equation, which contains second derivatives in time and space. The latter being not entirely satisfactory for reasons that we do not detail here (negative energy solutions), Dirac then derived a system of four equations that contain simple derivatives in time and space. To summarize what we know today, the relativistic Dirac equations (1928) and the Klein-Gordon (1927) complement, are physically interpretable only in the context of a system of many particles (quantum field theory), and match Schrödinger in the classical limit. Einstein then had enough to reconcile quantum physics and relativity. Maybe enough to make him change his mind since his “God does not play dice” pronounced in the 1910s. Ultimately, though some believe that the dispute between Einstein and the Copenhagen school is pure philosophy, it appears that many constructive reasons led Einstein to be skeptical of quantum mechanics: the role of randomness, shortcomings of the wave function … But keep in mind that unification remained an obsession for him, and that he deliberately sidelined himself from the physics of atoms. Somehow, we can say that he also refused that a particular philosophy is necessary for the understanding of quantum physics, which can be easily understood by any scientist. Many philosophers are still working on the issue, whereas it might be time to look at what new physics produce today, and there is much to do. I think about the String Theory, which can not currently rely on any direct experiment, and lies on the border between philosophy and science. And what about this fierce desire to build a theory of “everything”, a full unification of the laws of nature? Is it not simply the desire to know the mind of God? Very well rounded and balanced article, hitting all the highlights. It is astounding that the concerns that Schrödinger voiced more than 6o years ago with regards to the turn that QM took are just as relevant today. To me it always appeared that linear QM must be an approximation that holds in flat space-time for sufficiently isolated systems, but it was just an intuition that seemed sensible to me, not informed by much actual theoretical analysis, although it directed me to read up on research on the outer edges such as the work of Mendel Sachs, (he made the case that his reformulations of GR unifies it with EM). Eventually, I came across Australian physicist Kingsley Jones in a LinkedIn forum, and he published some very interesting work on non-linear deformations of the Schrödinger equation that can yield a “classic” wave equation that is equivalent to classical Hamilton mechanics. A result that gives very strong theoretical underpinnings to my hunch. (Incidentally Steven Weinberg played with the same models but missed the connection). I offer a possibility of reconciling locality with Quantum Mechanics in this suggested mathematical perspective for the EPR argument.